From Marin, CA I drove to Los Angeles, using Highway 46 to get to Interstate 5. 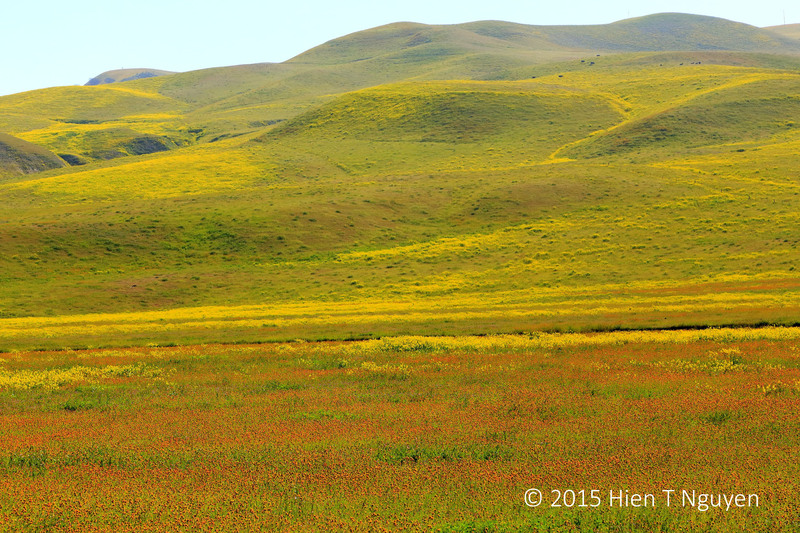 Between the town of Paso Robles and the entrance to Interstate 5, there were many patches with millions of wildflowers on the green hills along the way. There were swaths of yellow, orange, blue, and purple, at times with several colors laid out side by side as if the mountain was a giant quilt. Wildflowers along Highway 46. The orange was California poppies, and the yellow was mustard flowers, I think. 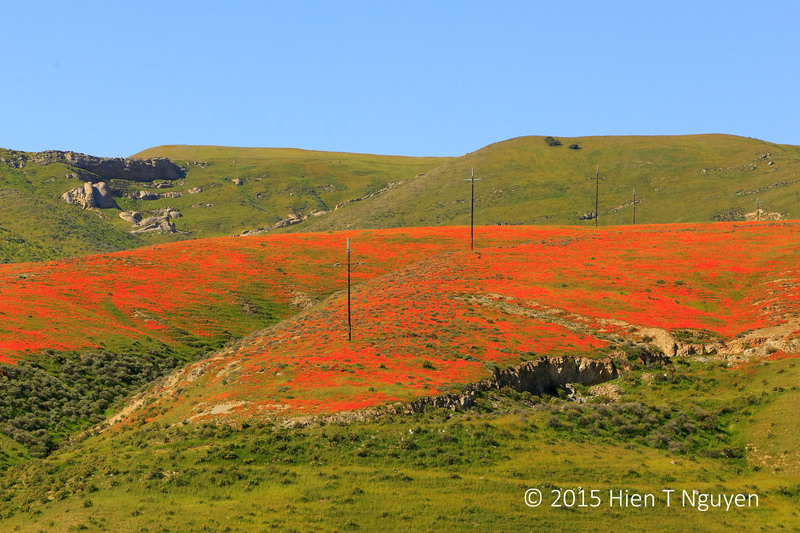 California poppies along Highway 46. 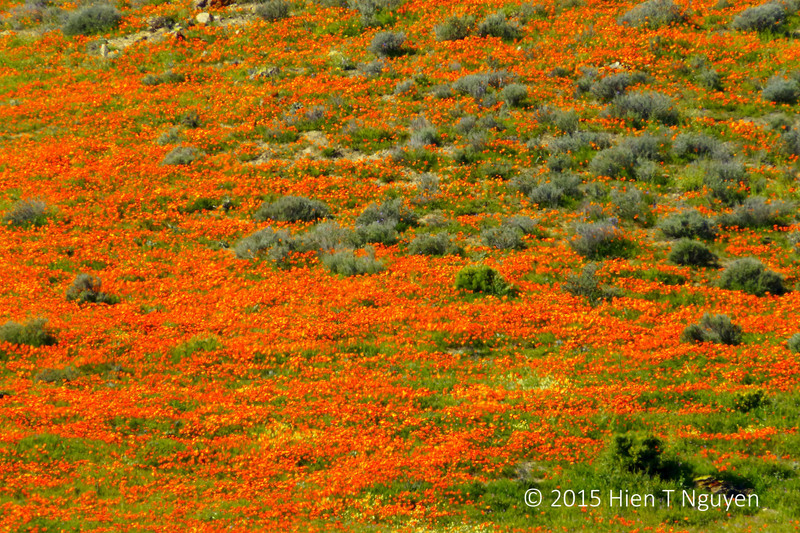 California poppies on hill along Highway 46. This last photo was taken at the Pinnacles National Park, the newest national park located off Highway146 30 miles south of Hollister, CA. 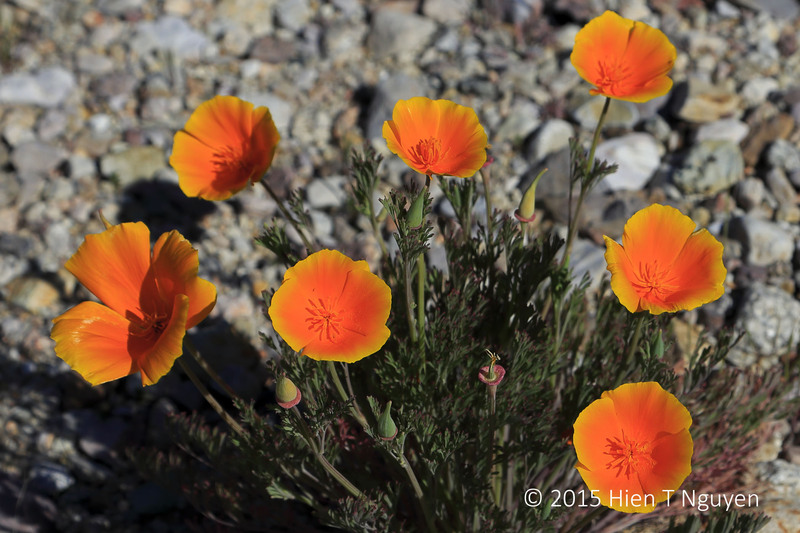 California poppies at Pinnacles National Park.